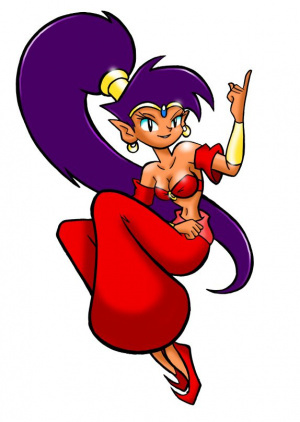 Shantae Sequel, For Serious This Time? GoNintendo is reporting that our genie-related prayers may be answered soon. The long-teased and seemingly forgotten sequel to 2002's Game Boy Color title Shantae might be closer than we think. It all began with the lastest issue of Nintendo Power, which promised the reveal of a DSiWare title "that should make many of you very, very happy." Nintendo Power teasing a MAJOR DSiWare release in the next issue? AND it will make many gamers 'very, very happy'? Hmmm. While this certainly isn't a confirmation of a DSiWare-bound Shantae sequel, it is worth noting that the icon for WayForward's Twitter account is a screenshot of the never-released GBA Shantae sequel. Could we finally be seeing that project come to fruition via DSiWare? You know, the one that the cruel sadists at WayForward have been hinting at for years? We'll have to wait at least until someone gets their mitts on the next issue of Nintendo Power to find out. If this rumor is true, than yes! same as irken, this seems interesting, and its another platformer! Remember when I asked them about a Shantae DSiWare title in the last Podcast...they gave the "No Comment" answer. We'll see. If I got a "No Comment" when they knew it was coming, I'm going to feel very put out. "It all began with the lastest issue of Nintendo Power..."
"Lastest?" Sorry; I couldn't resist pointing that out. Anyway, this sounds pretty awesome. I hope it's true. Though I admit I'm not sure how Shantae counts as a MAJOR release that will make "many" gamers very, very happy. I thought it was a niche release with a cult following. Hmm, the October issue of Nintendo Power also features Shantae in their Playback article. Coincidence or perhaps a big hint of their forthcoming announcement. I want a good platformer on the DSiWare. I bought Mighty Flip Champs and would buy this game day one and tell everyone else to buy it too. Oh yeah! I just love suspense like this. Interesting... haven't gotten the new NP just yet (need to grab that when Mom comes up this weekend), but this sounds really interesting. 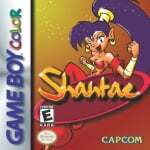 I never played Shantae for GBC either, but this might be great if WayForward offered this on the DSi Shop as a GB/GBC/GBA type of download. Never played Shantae but loved Lit and MFC. I may dl this without even waiting for reviews if true. Yeahyeah!! More platformers on DSiware! I really hope this is true! Still what about the origonal plan to release Shante on WiiWare; huh... why nothing about it WayForward?! But at least if they, (WayForward), ever does decide to push Shante to DSiWare instead; I'd gladly take that instead! I got a DSi; so I'll be looking out for it btw... and I still got to get Mighty Flip Champs as well! @Stuffgamer1: D'oh! Thanks for the heads-up. Good news indeed, although it'd also be cool if Shantae was a DSi VC title...if they started doing that. Oh, I hope this rumor is true!!!!! I love platformers and it's great so see more coming do dsiware. Please say it is so! I've wanted to play the original Shantae for years! I hope this is true. I have been waiting for this game since forever.